New garage doors and garage door replacements in Cincinnati, OH. Free garage door consultation and quote in Cincinnati, OH. Sentry installs garage doors made of steel, aluminum, wood, carriage style, fiberglass, vinyl, and more. Sentry provides new garage doors from leading manufacturers in the United States. We are happy to give you a free consultation and provide you with many options of garage doors prior to installation. We have proven expertise in installing many overhead garage door styles including steel, aluminum, wood, carriage style, fiberglass, vinyl and more. 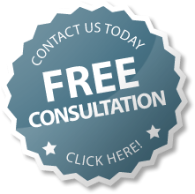 Contact us for a free consultation for garage doors today.